Capt. 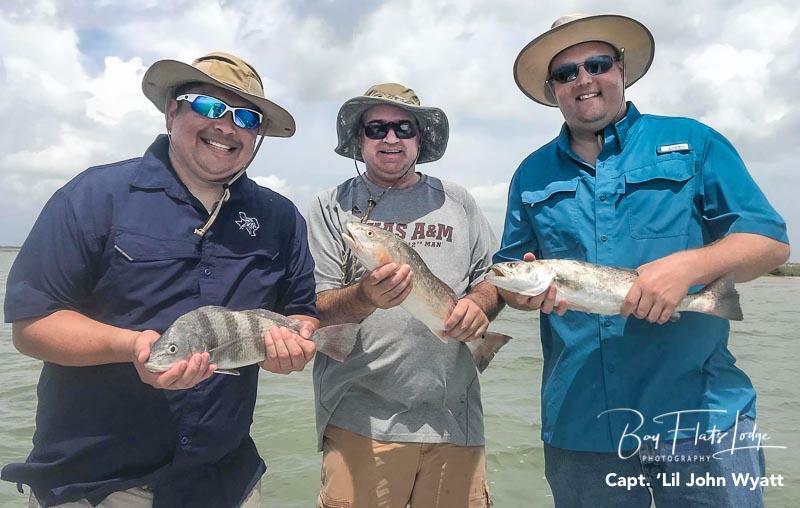 Kevin Matula – Had a great morning wading with lures with this group from the Ben M. party. They managed a decent box while wading waist to knee deep sand and grass. 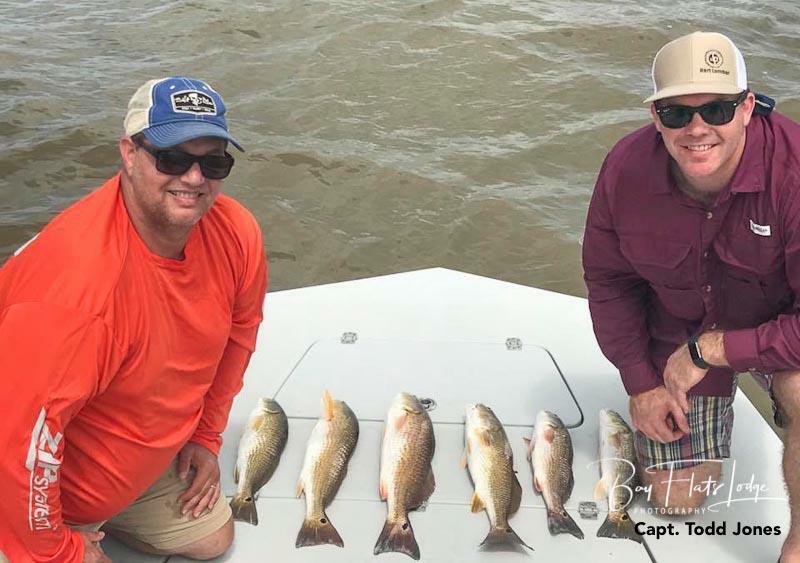 Their day ended with a dozen well-proportioned Speckled Trout and one nice slot Redfish. 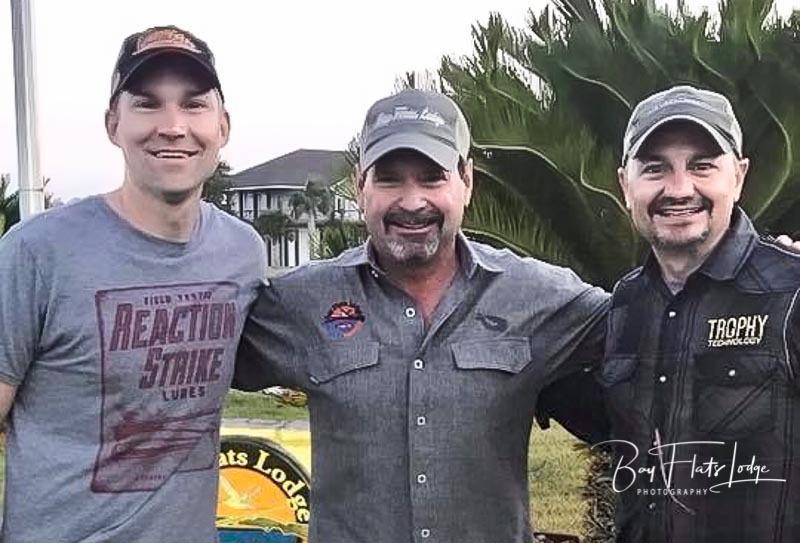 It was great to be able to get in on some awesome wade fishing with such a great group of anglers. 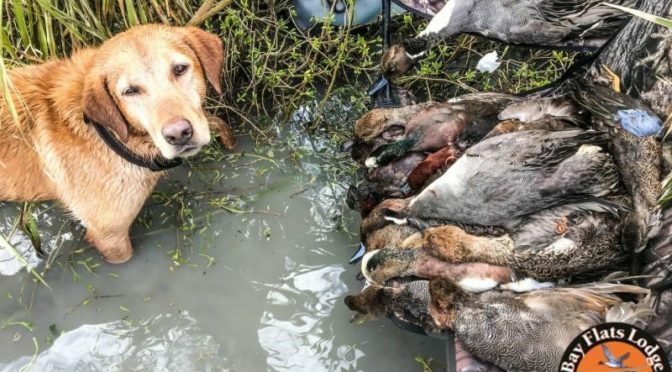 Hope we can all do it again soon! Capt. 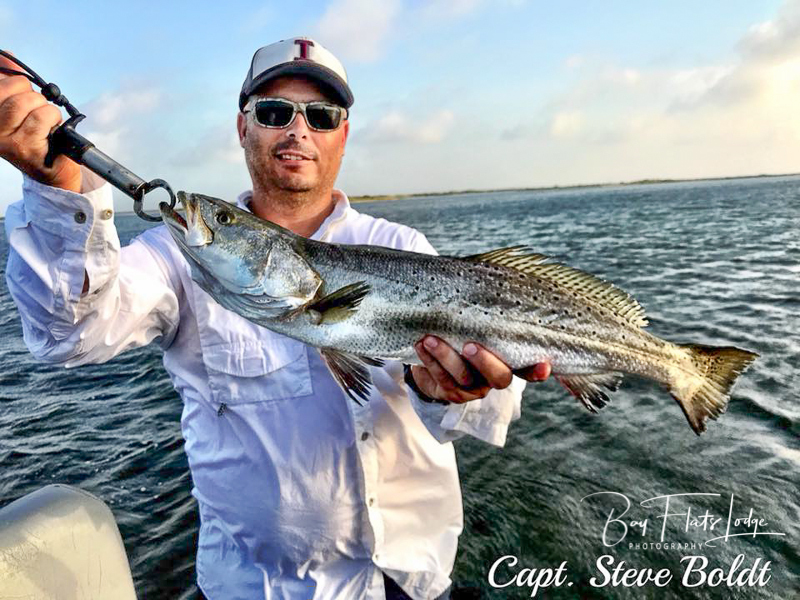 Billy Freudensprung – This morning was extremely slow, but my crew of four from the Chris M. party wouldn’t settle for a “goose-egg” finish on the day. 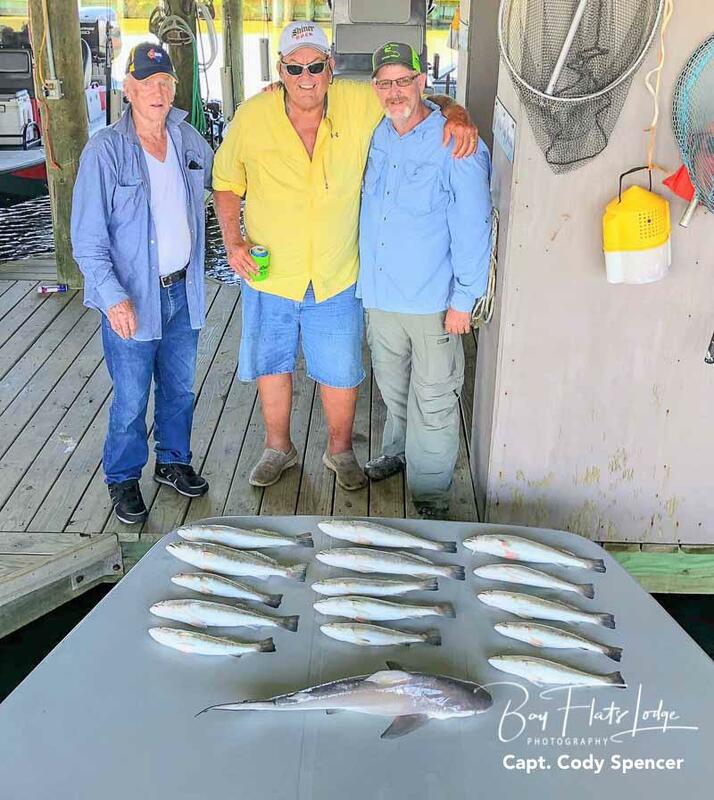 They stuck out the hardships and proved to everyone that they had what it takes to turn a day of poor fishing into a time to remember. 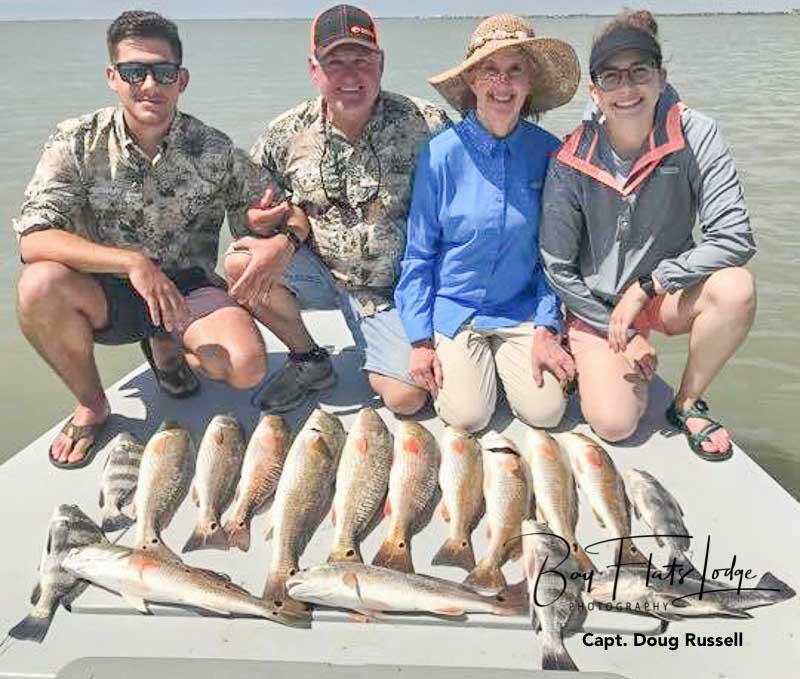 These folks put their heads together on our very last stop of the day and managed four handsome Redfish and nine Black Drum. It was an impressive recovery on the day! Capt. 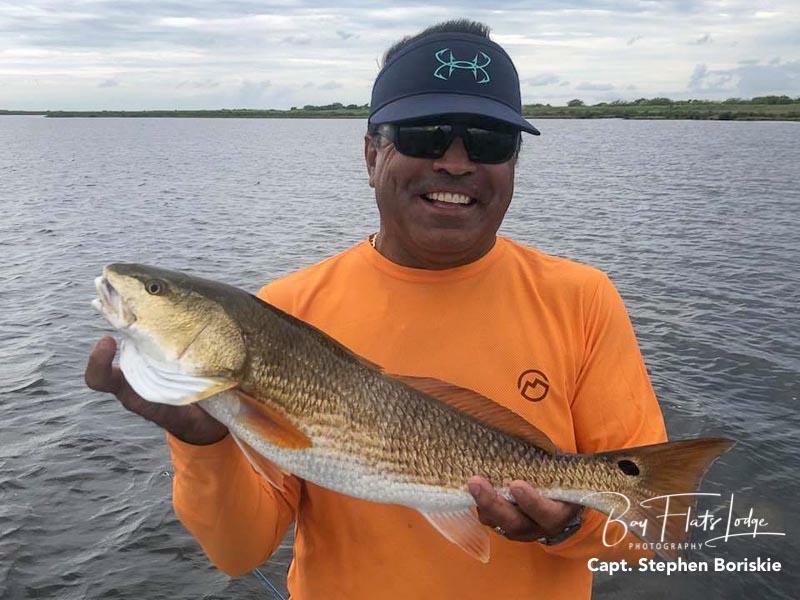 Doug Russell – This morning we were presented with a lot less wind than usual, which allowed us to do a couple things we’re normally not able to do when the wind is blowing. All of this resulted in us being able to locate the trout bite early in the day while it was still cool. 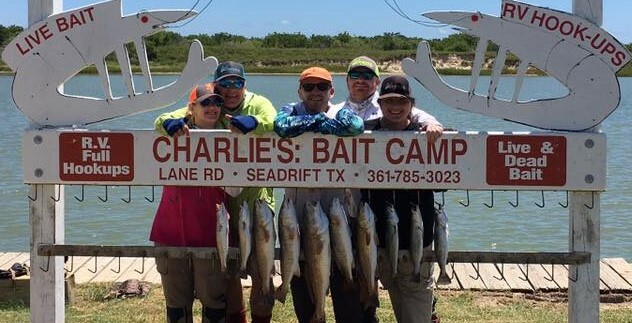 My crew of three ended their morning with a 3-man trout limit and a bonus big red. 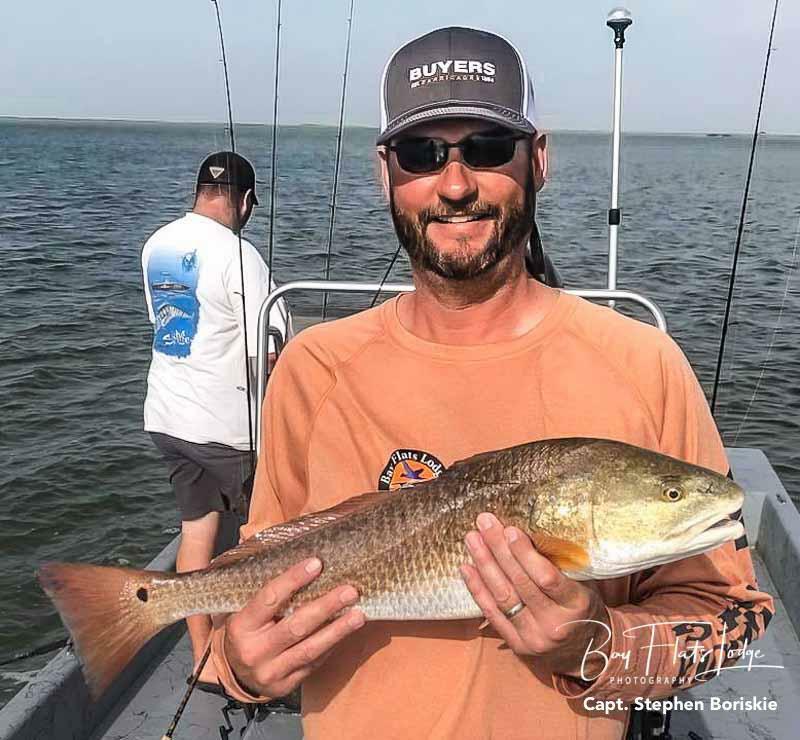 Maybe the redfish are back to stay – we’ve seen some nice ones over the past few days! We’ll keep our fingers crossed! Come on down and get in on some of the action! Capt. 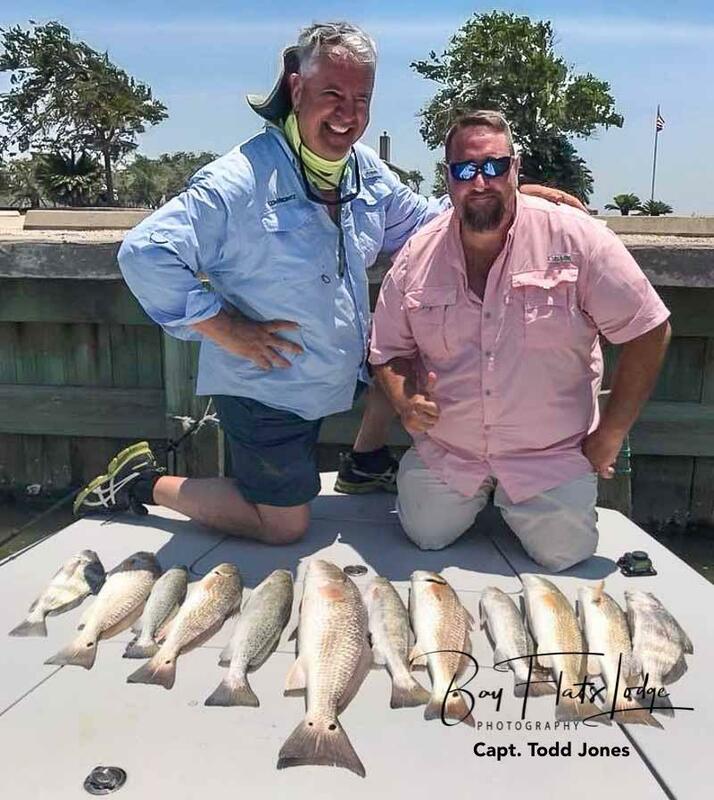 Todd Jones – Today was a good day on the water with Gage and Jerry. A phone call from Capt. 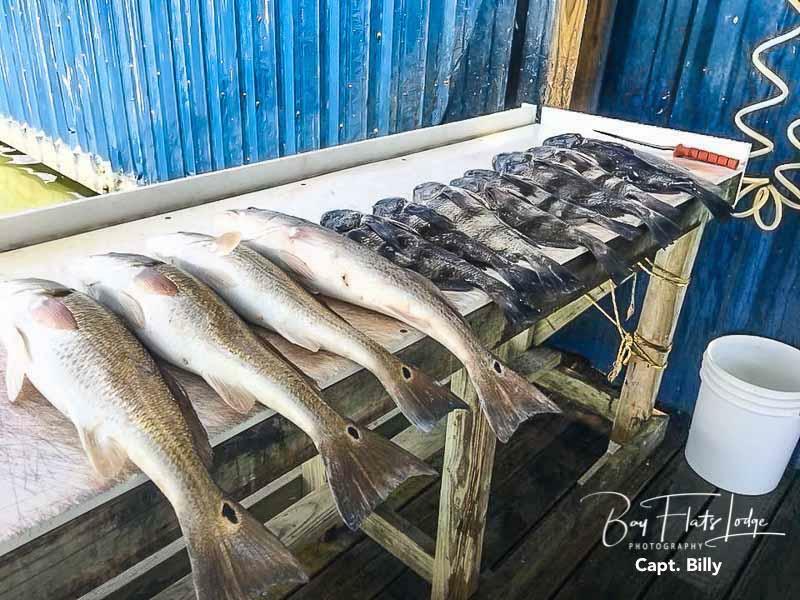 Billy, and a hungry school of redfish, saved the day for us! Our cell phone camera, however, didn’t do justice to this morning’s sunrise over the bay – I’ve never seen the sun so red! It was beautiful! Capt. 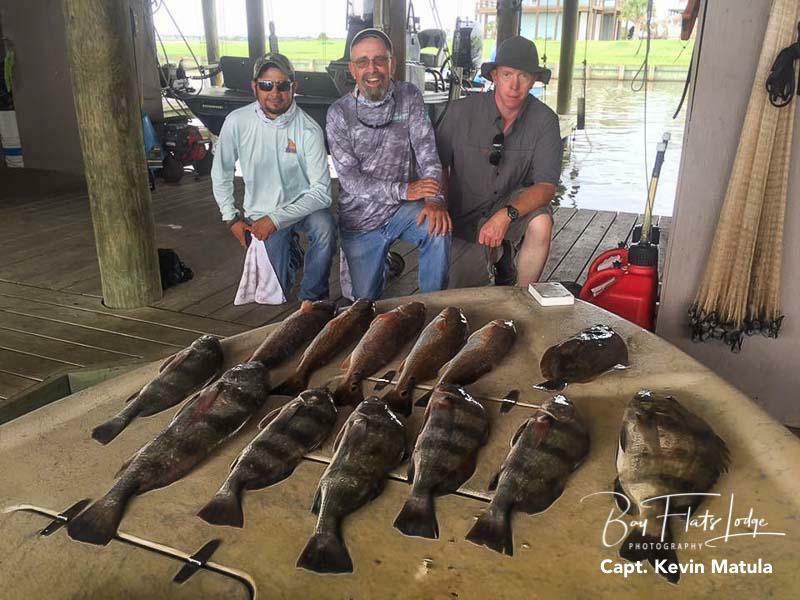 Steve Boldt – Today was a grinder of a day, but my crew of three from the Jeremy K. party put their nose to the grindstone and got the job done. The wind wasn’t that bad this morning, and one of the guys stuck a fantastic trout just before 8:00am. 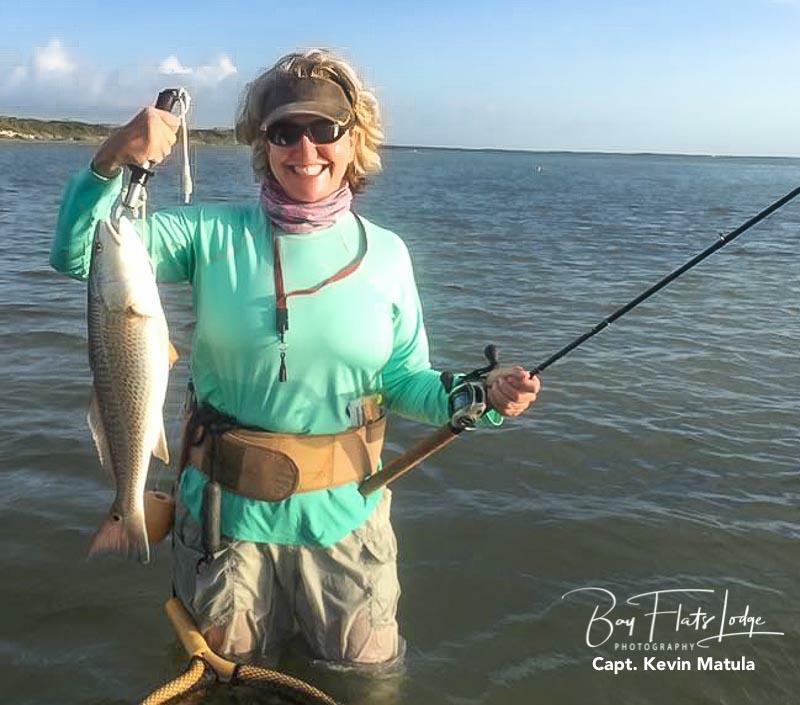 At that point, we thought for sure we were into the fish heavily, and that it wouldn’t take any time at all to reach our limits. 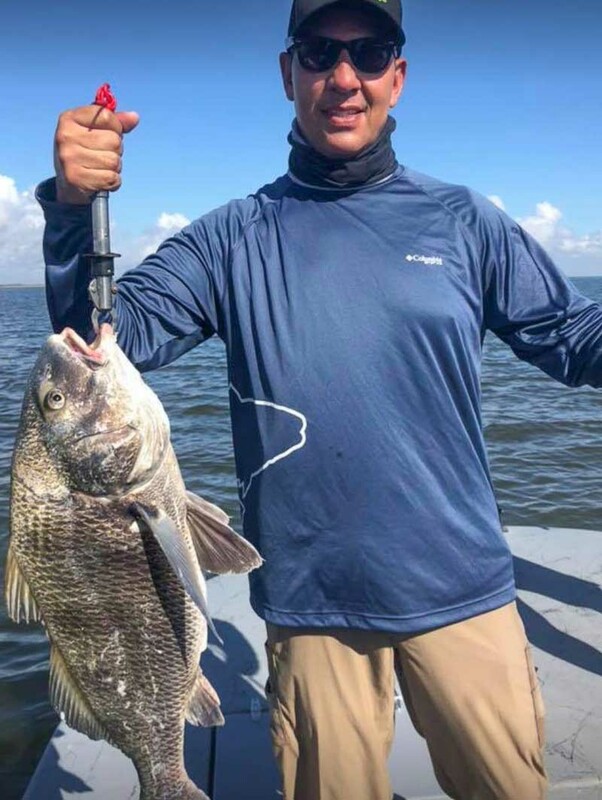 However, the bite weakened following that, and we suddenly realized we had our work cut out for us for the rest of the morning. 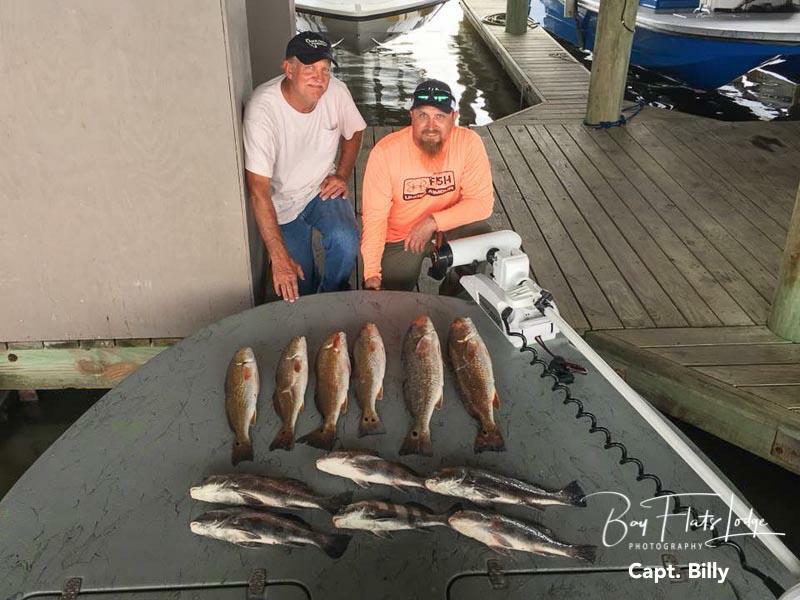 The guys finished their day on a favorable note as they managed thirteen nice trout, four good-size reds, and two thick flounder. Capt. 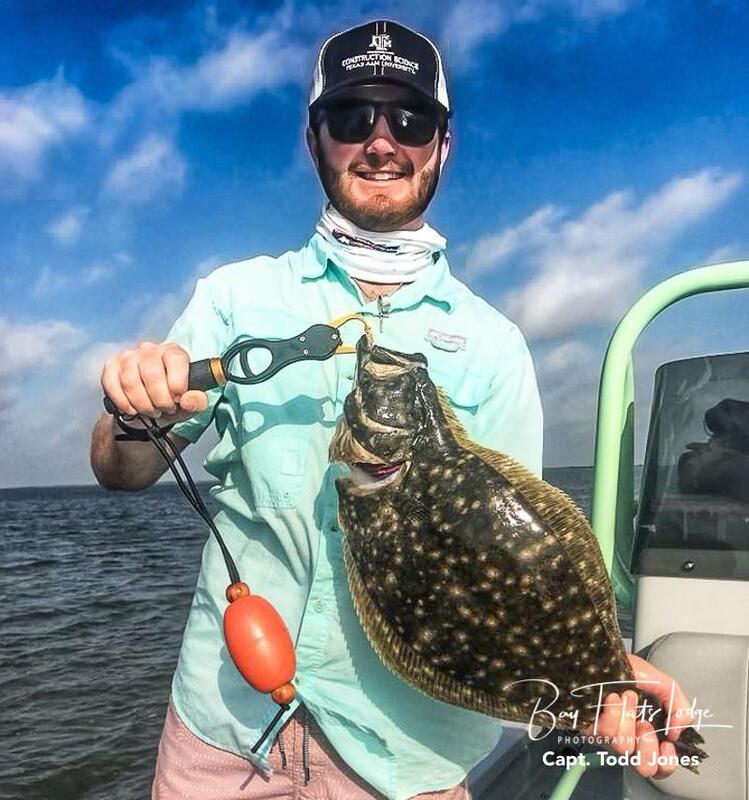 Todd Jones – Not thirty minutes before this picture, Miles asked how often we catch flounder, to which I replied, “Not all that often”. He really wanted to catch a flounder. By pure chance, this happened not long after his question. 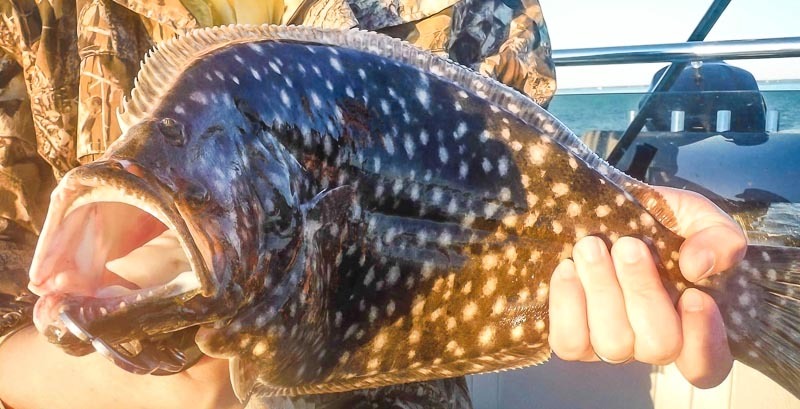 It was his second ever, and new personal-best flounder on rod and reel, which measured right at 21-inches! 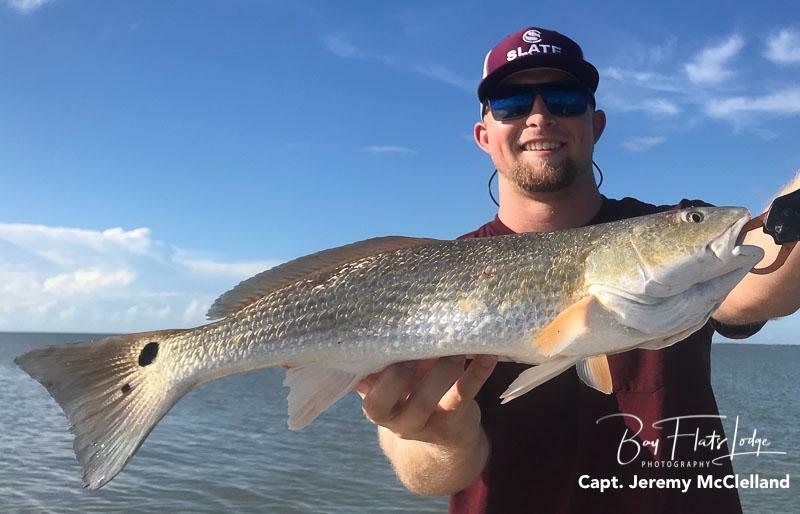 Not pictured, also, is the 17-inch flounder that he caught on the very next cast! Ask, and you shall receive! Capt. 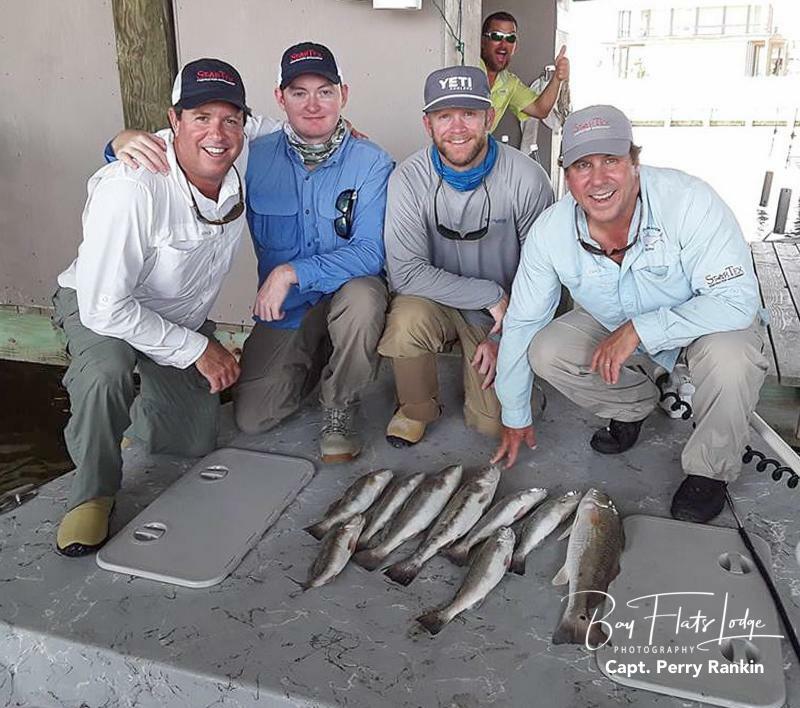 Perry Rankin – Today was wading with artificial bait day with Jeff, Eric, David, and Taylor. They all worked hard throughout the day, and it was a grind. However, they ended their day with some nice fish and some great fun. 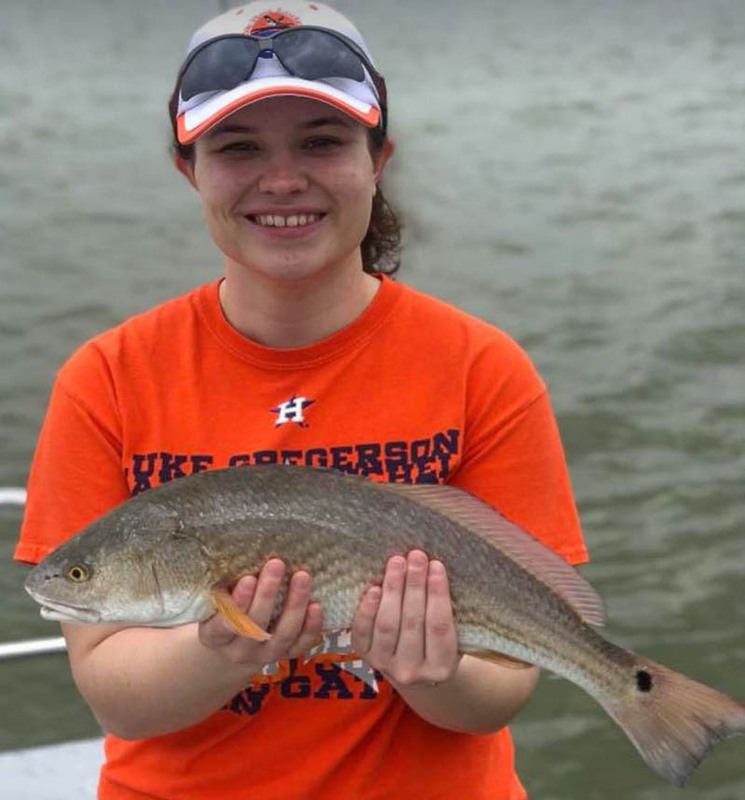 Everyone had a good time catching! Capt. 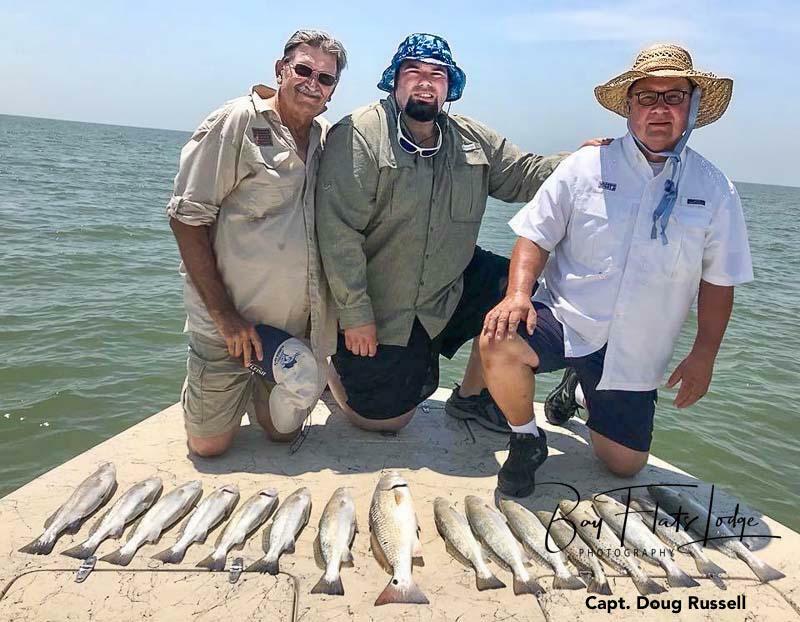 Doug Russell – My party of three today from the Todd H. group was actually able to get a little bit of a break from the searing heat. 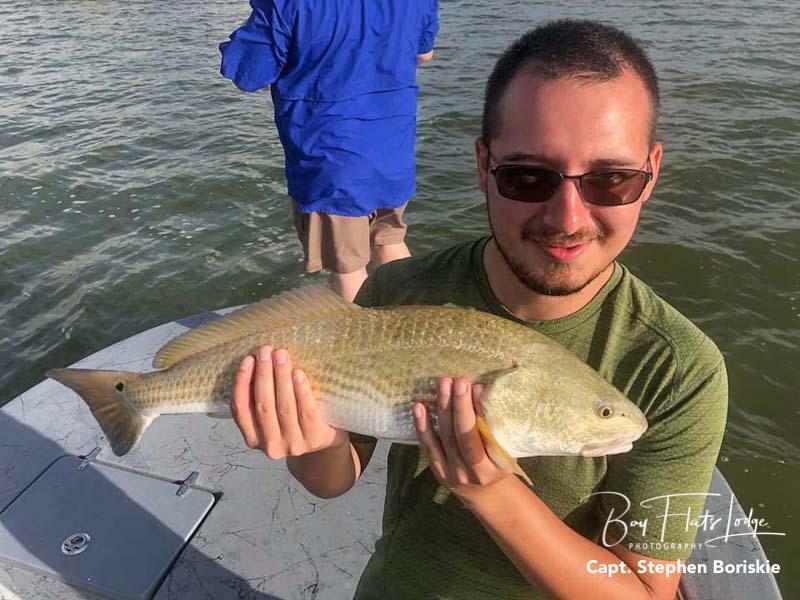 The decided to wade fish with lures, as well as with live bait, and had a much cooler time of things over that simply fishing out of the boat. 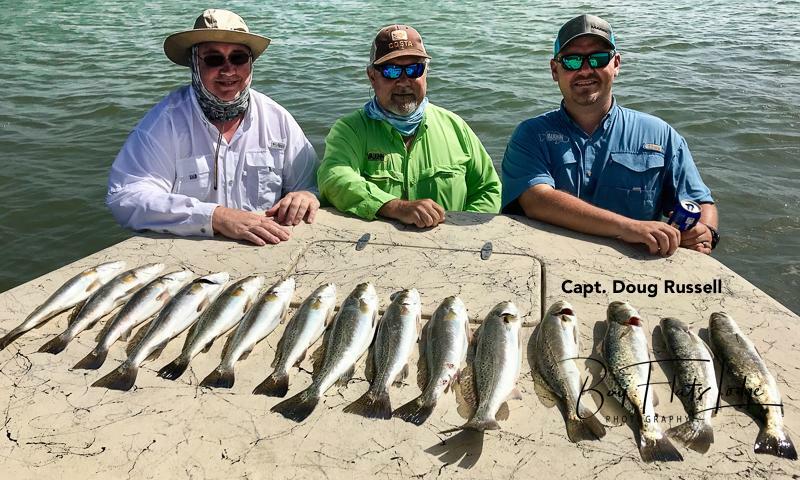 The three of them each managed their own trout limit, some of which were pretty decent fish. I think they all had a good time today, and I hope they get to come back to see us soon!